Are you excited about fall, to explore the great outdoors while surrounded by the abundance of colors that mark autumn in Virginia? Do you also want to get off the beaten track, explore the trail less traveled? Virginia can provide that for you too, whether it is hidden nooks and crannies in the highlands, under the radar destinations in the Piedmont, or even select spots on the coastline that are less visited. Read on and find your lesser known fall destination for adventure. Not to be confused with Shenandoah National Park, the Shenandoah Mountain area offers a host of lesser visited destinations and plenty of activities for the outdoor enthusiast. Set west of Harrisonburg, Bridgewater and Staunton in the George Washington National Forest, fast against the West Virginia state line, this mountain stronghold has outdoor activities galore. Jump on a trail suited for hikers and mountain bikers. Overnight in the back of beyond at a leafy campground, explore a federally designated wilderness, or take a scenic mountain drive to a mountaintop lookout. 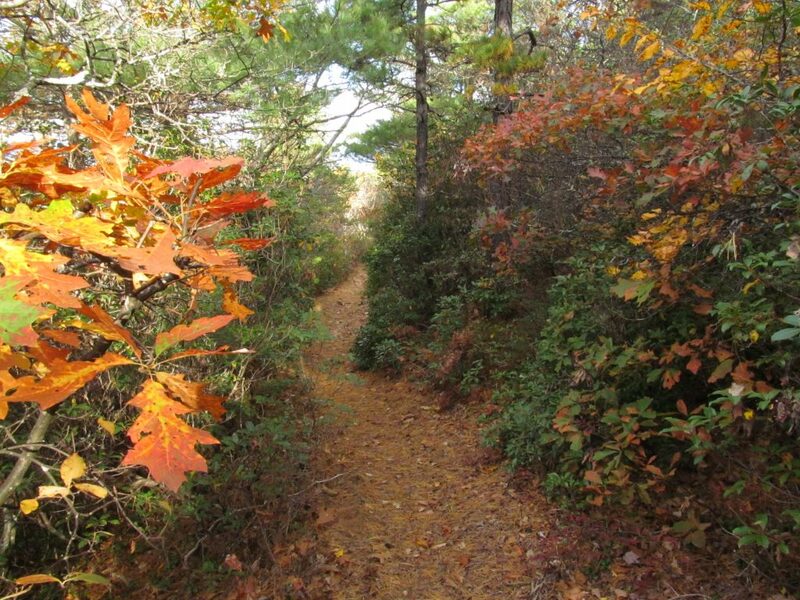 Hiking Adventure: Make an ideal 4-mile loop hike on the Trimble Mountain Trail. You can gain views of the mountains in the distance and closer looks at Todd Lake below. The well signed Trimble Mountain Trail climbs away from Todd Lake then splits to form a loop. Work your way up slopes cloaked in autumn glory, reaching a high point (not too high or tough though) Wander back down, passing a pair of modest overlooks where highlands to the west form mountain ramparts. Soak in the views before dropping back to Todd Lake, where you can also circle the impoundment on an easy 1-mile loop trail. Backpacking Adventure: Ramseys Draft Wilderness offers a network of trails high and low. The federally designated wilderness was established in 1984. The untamed locale covers almost 7,000 acres and has around 30 miles of trails. An excellent autumn 19-mile loop backpack takes you up the stream of Ramseys Draft up to the highlands at Hiner Spring, where I have seen a bear. 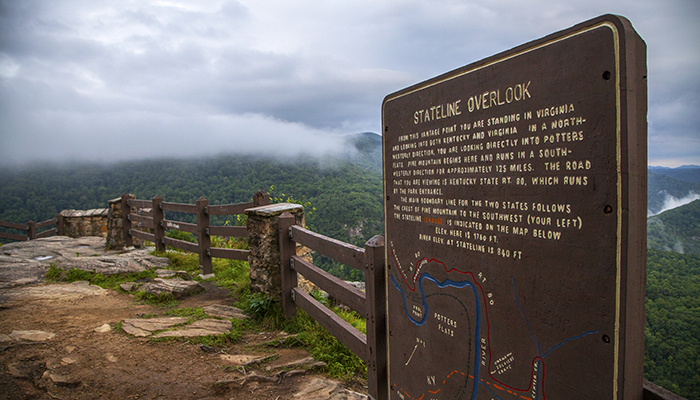 Make a side trip to the outcrops at Hardscrabble Knob. Join the Hiner Springs Trail then loop around the Bald Ridge Trail, where some spectacular views can be had. Water Adventure: The Shenandoah Mountain area has 3 small mountain-rimmed lakes for paddling or fishing, all located within close proximity to one another. The biggest of them is Elkhorn Lake at 54 acres. Elkhorn Lake features a boat launch and is a great venue to enjoy fall colors. The dam stands firm at one end and brushy wetlands at the other with mountains in between. Todd Lake is part of a greater recreation area with hiking trails and camping. At 7.5 acres, the lake is small but open only to paddlers or electric motors. It would be a good place to bring your stand up paddleboard, enjoying the waters framed in mountains. Hearthstone Lake comes in at 7 acres and is the dammed portion of the Little River. This impoundment is lesser developed and is known more for fishing than paddling. Camping Adventure: Of the three Shenandoah Mountain area campgrounds, Todd Lake is the most popular. Hot showers, flush toilets and water spigots make living easy astride the highland tarn enveloped in mountains. 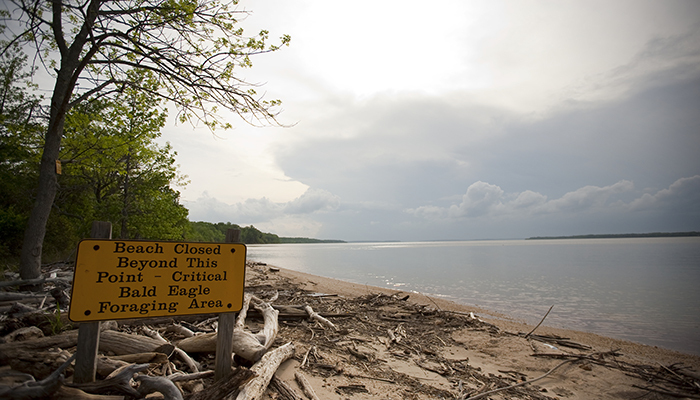 A swim beach adds to the possibilities and a campground host keeps the camp running smoothly. Sites are first come, first served. Nearby North River Campground is more primitive, but is well situated to explore the North River gorge. Hone Quarry, a bit north, is primitive also and is a gathering spot for rock climbers, who ply their craft nearby. Mountain Biking Adventure: The Wild Oak Trail, a designated National Recreation Trail, is legendary among mountain bikers and good for fall colors, too. The multiple use path makes a 26.5-mile loop, circling the North River watershed. Start at the well-marked trailhead on Forest Road 95 to pick up Lookout Mountain. From there, work your way to Bald Ridge back down to the North River, then up to Chestnut Ridge, completing the circuit. Plenty of connector trails and forest roads allow you to shorten your loop. 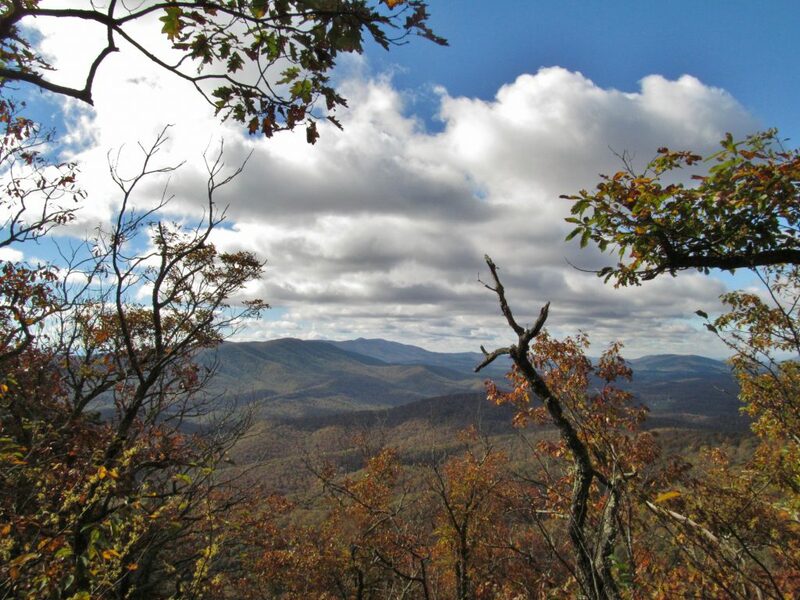 Driving Adventure: Make a forest cruise up to Reddish Knob where you can step out of your vehicle and take in an autumn view. At 4,397 feet, Reddish Knob avails 360-degree views east from Shenandoah Mountain into the Shenandoah Valley to the east and the mountains of West Virginia to the west. Surrounded by water, the peninsula that is Virginia’s Eastern Shore gives autumn lovers a chance to enjoy a slower way of life in a place where fall colors extends well into November (due to low elevation and moderating ocean waters). It is a place where autumn lingers, where you can pitch your tent or park your RV on Chesapeake Bay or barrier islands of the Atlantic Ocean. Hike at one of the national wildlife refuges or state natural area preserves, seeing an abundance of bird life as the winged creatures migrate south. Paddling options are nearly unlimited, highlighted by the Virginia Seaside Water Trail. Whether you are in a kayak, canoe or even SUP board, paddling is an innovative way to see fall in action. Road bicycling the rural roads of the Eastern Shore is an underutilized activity here. Hiking Adventure: Magothy Bay State Natural Area Preserve makes for a fine hiking destination. The 286-acre plot is on the lower end of the Eastern Shore near Kiptopeke. Tackle two hiking trails covering a little over 3 miles. Explore piney uplands transitioning to forested wetlands that in turn transition to coastal marsh. You’ll see evidence of former farm use, but the land has been converted to songbird habitat. One of the trails loops through the songbird habitat while the other heads through the transitional woods before opening onto the coastal marsh where it travels along a dike. 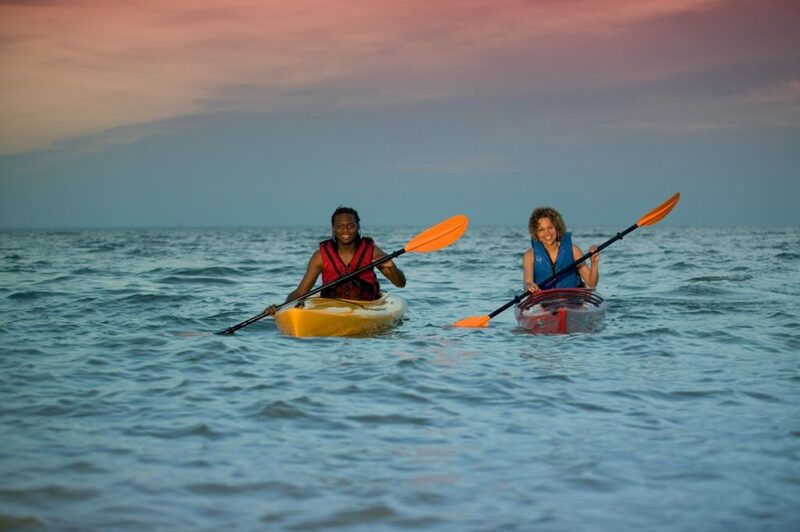 Paddling Adventure: The Virginia Seaside Water Trail travels 100-miles along the Atlantic shore. The water trail is broken up into segments perfect for day trips no matter your skill level. 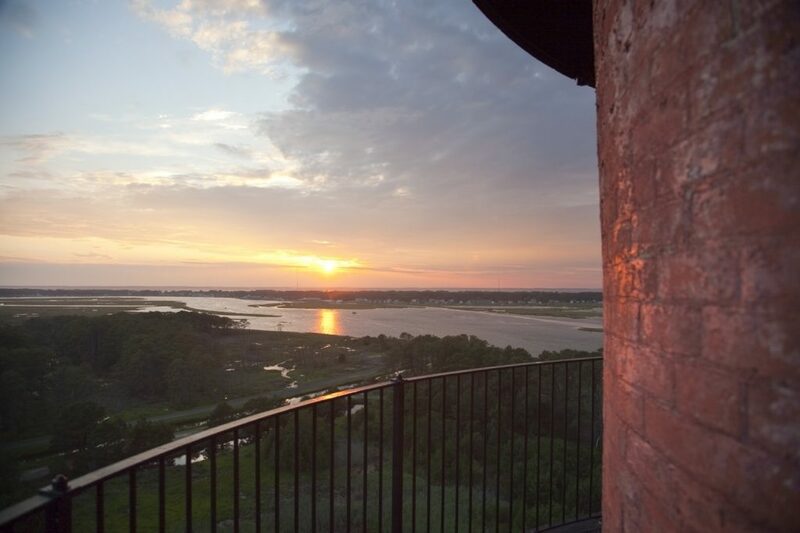 Explore coastal marshes, wildlife refuges and beaches. Guided paddling tours are available through SouthEast Expeditions. Another idea is to explore historic Onancock Creek. Work your way to more open waters before coming to Parkers Marsh State Natural Area Preserve, making your way to Sound Beach and back, about an 8-mile round trip. Camping Adventure: Pitch your tent or park your RV at Tall Pines Harbor Campground near Saxis Wildlife Management Area. The well run facility offers camping in the pines, non-wooded sites or beachfront. Plenty of on-site amenities such as a pool and beach. Although Tall Pines Harbor Campground is on the Chesapeake Bay side of the Eastern Shore it is within easy driving distance of Chincoteague Island and all the autumn activity there. Bicycling Adventure: The Eastern Shore is an underutilized road cycling area. VA 600, Seaside Road, runs up the east side of the Eastern Shore, offering a relaxed rural pedaling trip. Pick up Seaside Road near Exmore then head south toward Machipongo. If you want to bicycle off the roads head to Kiptopeke State Park. Many of their trails are open to bikes, cruising level grass and dirt paths passing by overlooks on the bluffs above Chesapeake Bay. This rugged country is best known as home to Breaks Interstate Park where Russell Fork cuts such a deep valley through Pine Mountain that this chasm is dubbed the “Grand Canyon of the South.” View the Towers, a large rock prominence around which Russell Fork flows. Enjoy more views from Overlook Trail. Kayak the whitewater of Russell Fork or enjoy flatwater paddling on mountain-rimmed Flannagan Reservoir. Take your vehicle on Nature Drive, a one-way scenic road for those less inclined to walk. Additional parcels of public lands add to the fall adventure possibilities. Hiking Adventure: Take a walk on the Pine Mountain Trail, straddling the Virginia-Kentucky border. This long distance path continues to expand. A good segment starts at Pound Gap. Here, head southwest on the Highland Section of the Pine Mountain Trail. After 1.7 miles, reach the Jack Sautter campsite above the Old Meade Place, a homesite. It is another mile to the short spur leading to Twin Cliffs and a pair of rewarding views. Make sure and see both vistas, where you look down on some incredibly beautiful and rugged terrain. Camping Adventure: Breaks Interstate Park has a large 138-site campground with a mix of good and less than good sites. The campground is open through October and presents a mix of tent and RV sites as well as both electric and non-electric sites. Your best bet is to come here and choose your site in person. I recommend an October trip. The crowds are down and you can see this park in its fall kaleidoscope of color. Cabins are available, too. Water Adventure: Fall is the time to visit Russell Fork, even if you aren’t a whitewater paddler. During October weekends Flannagan Reservoir is lowered, filling Russell Fork, turning it into frothy whitewater for expert boaters. Crowds line the river to watch the action. Most of us will stick to flatwater paddling. Three area impoundments give opportunity to enjoy autumn colors from still water. At Breaks Interstate Park you can paddle 12-acre Laurel Lake. Enjoy an intimate experience with trees reflecting off the water. You can rent a paddle boat, kayak or canoe. Flannagan Reservoir checks in at over 1,100 acres. Explore 50 miles of shoreline set in deep hills. North Fork of Pound Reservoir stretches 154-acres and also offers a serene atmosphere in a montane setting. Bicycling Adventure: The Guest River Gorge Trail near Coeburn is a converted rail trail that traces the Guest River through a tunnel and onward past big bluffs. Tributaries form waterfalls in places. The big boulders in the Guest River will surprise. Turn around where the Guest River meets the Clinch River for a 12-mile there-and-back bicycle trip. Primarily in Appomattox County, situated in the Piedmont between Lynchburg and Richmond, Appomattox Country makes for an excellent fall adventure destination, with adventures aplenty to see autumn colors that will stretch farther into November than Virginia’s mountain regions. The action centers on Holliday State Park, a few miles east of the town of Appomattox. Here, camping, hiking and water recreation are abundant. Being within the greater confines of greater Appomattox-Buckingham State Forest effectively increases the park’s size and wild aura. The park offers hiking trails, even an aquatic trail on Holliday Lake. Bicyclers can tackle the 10-mile loop trail through the adjoining state forest. 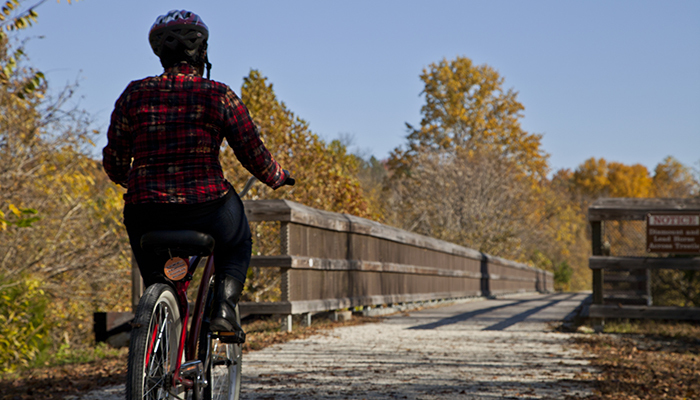 Paddle the Farmville Blueway in nearby Farmville for a mix of lake, moving water and canals, and local High Bridge Trail State Park offers a linear rail trail pedaling adventure. Hiking Adventure: The 6-mile Lakeshore Trail at Holliday Lake State Park is the fall hike of choice. A variety of terrain from hillsides to wetlands to evergreen forests characterize this circuit that starts near the park office. A highlight of the adventure is the steps to and footbridge across the dam of Holliday Lake. Most of the trail skirts the shoreline, allowing watery views of colorful trees reflecting off the water. The Brennan Overlook is a designated viewing place. You’ll pass by some wetlands on the upper stretches of the impoundment before returning to the park office. Paddling Adventure: The city of Farmville has developed the Farmville Blueway, combining three bodies of water for one interesting four-mile trip. Start on Wilcks Lake and paddle a mile to a short portage linking to Buffalo Creek. Incorporate historic canals used in transportation two centuries back. Enter the Appomattox River where you can paddle the river and/or a parallel canal. Holliday Lake, 145-acres, is the obvious choice at Holliday State Park, especially since canoes, kayaks, paddleboats, stand up paddleboards and johnboats are available for rent through last weekend in October. No gas motors are allowed, keeping the atmosphere serene. You can follow the Sunfish Aquatic Trail, an interpretive paddling path circling Holliday Lake. Camping Adventure: Holliday Lake State Park features two camping loops, Redbud and Laurel Ridge, open through November. Laurel Ridge Campground has fewer sites but accommodates larger RVs. Overall campsites are large with big pull-ins and ample amenities. Redbud is designed to accommodate pop-ups, smaller RVs and tents. Like other Virginia state parks, these camping areas are clean and in good shape. Hot showers, flush toilets and water are available. Bicycling Adventure: Circle the Holliday Creek watershed on the 10.2-mile Carter-Taylor Trail. Pick up a connector trail from Holliday State Park to enter the state forest. Parts of the loop use forest roads but most of the trek is on wooded pathway. It is but a short drive to access the rail trail at High Bridge State Park in Prospect. Go in either direction and pedal your heart out. 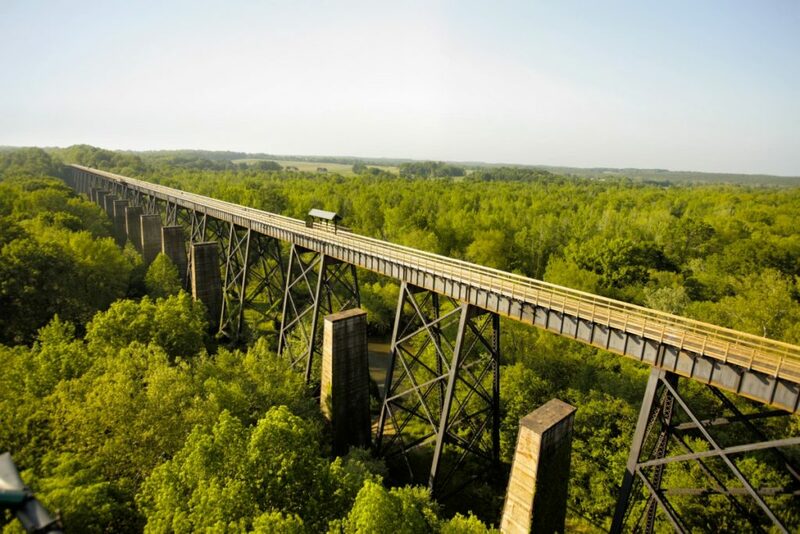 Or start in Farmville where you can head east to cross the famed High Bridge for which the trail is named. The Northern Neck is the long peninsula in northeastern Virginia dividing the tidal Potomac River from the tidal Rappahannock River. Fredericksburg stands at the western head of the Northern Neck. Heading easterly it is nothing but rural lands bursting with autumn splendor. Chesapeake Bay forms the eastern boundary of the Northern Neck. Three quality Virginia state parks provide rewarding camping, paddling, hiking, even backpacking, with additional public lands and waters ready for your visit. Hiking Adventure: Make a 4-mile there-and-back hike to Brewers Point at Belle Isle State Park. The trail system at Belle Isle State Park is comprehensively signed and meticulously maintained. The preserve is a menagerie of water and land, of fields and woods, of marshes and meadows, rich with hiking, paddling and camping opportunities, one of which is hiking to the Brewers Point, nestled amid pines, cedars and hardwoods, set fast against the confluence of Deep Creek and Rappahannock River, both wide, tidal waterways. Great venue for autumn foliage. Paddling Adventure: Take the Morattico Creek Loop. This 3.1-mile loop water trail starts at the Simonson public boat ramp. Circle the shore of tidal Morattico Creek as it narrows, then turn back to the mouth of the creek. If you are looking for more mileage turn up Lancaster Creek, admiring the autumn glory. 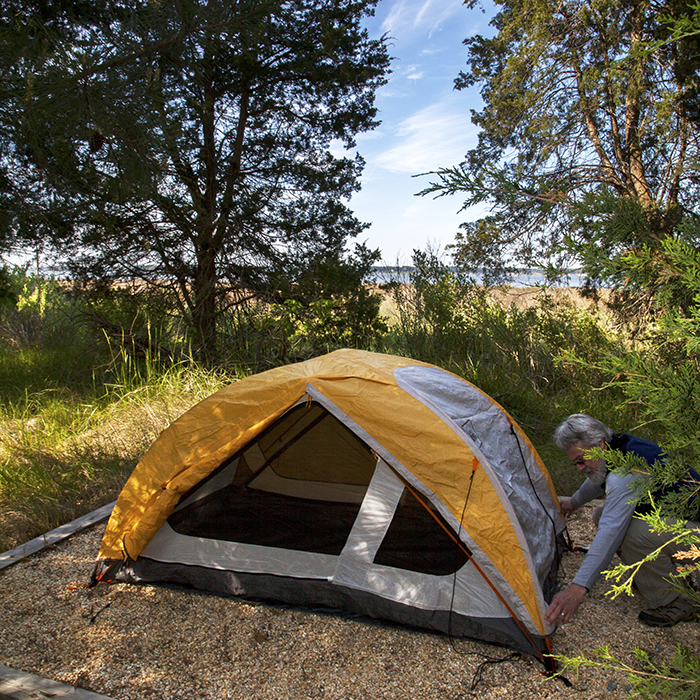 Camping Adventure: Since Westmoreland State Park is strategically located in the middle of the Northern Neck, make Westmoreland State Park your fall camping headquarters for visiting the Northern Neck. They offer 133 sites, large yet wonderfully melded into the landscape, with picnic tables, tent pads and more, all in good shape. Hot showers, flush toilets and water spigots soften the experience. The park overlooks the tidal Potomac River, where sand beaches are interspersed with cliffs. Visitors hunt for fossils on the beaches here. Backpacking Adventure: Caledon State Park delivers a chance to hike (or paddle) to a camp on the banks of the Potomac River at a state park rich with natural beauty, including old-growth woods and wildflowers aplenty at this designated National Natural Landmark. The preserved former plantation is now home to winding trails underneath impressive trees that lead you to a designated waterside camp where a sandy beach enhances the environment, and bald eagles majestically perch on shoreline treetops. This 5.6-mile there-and-back overnighter is perfect trip for kids of all ages. Wildlife Viewing Adventure: Visit one of the units of the Rappahannock River Valley National Wildlife Refuge, covering 8,000 acres. Although best known for winter eagle photography, fall can be rewarding for migratory bird species. Four units of the refuge are open to wildlife viewing year-round — Wilna, Hutchinson, Laurel Grove, and Port Royal. Launch your canoe or kayak in the pond at the Wilna area or join the network of short trails to reach a wildlife blind and an observation platform. Take a short drive on the Hutchinson unit or walk the interpretive trails or paddle your kayak or canoes on Mount Landing Creek. Contact the refuge ahead of time for best wildlife opportunities.